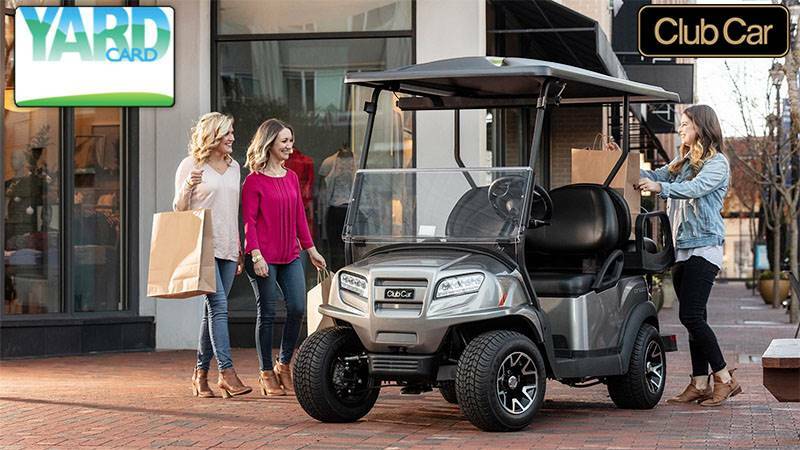 Maneuver over the most difficult terrain with the Carryall 550 gas or electric utility vehicle, featuring 6.4 inches of ground clearance (the most in its class), a sturdy differential guard, and rough terrain tires to resist nails and other sharp objects. 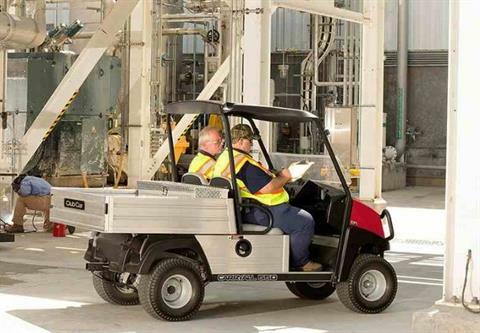 Its rugged, aircraft grade aluminum frame, chassis and cargo box provide a steady ride powered by a 404cc gasoline engine or 48-volt electric powertrain. An optimal turning radius lets you navigate in the tightest spaces, making this the perfect vehicle for construction sites, industrial locations and other formidable work tasks. Rustproof, aircraft-grade	aluminum frame is	stronger	than	competitors’ steel frames and	resists corrosion. Cockpit style interiors, ergonomic	dash	and	improved	hip restraints	provide one-of-a-kind comfort. 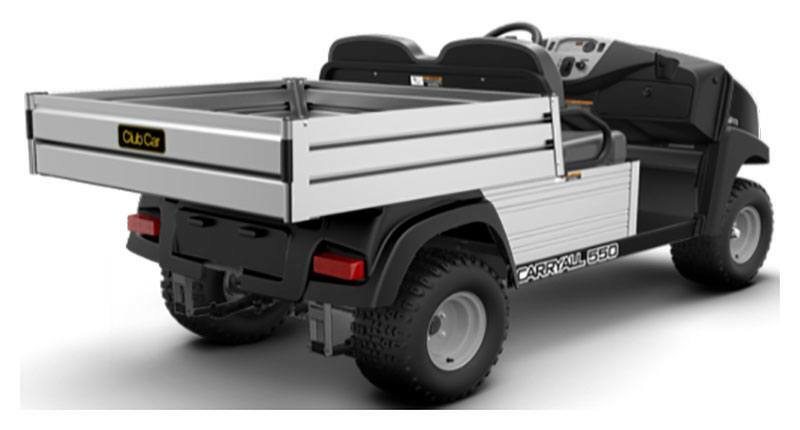 Integrated track attachment system, optional tool	holders, bed dividers and cargo tie	downs increase versatility and save bed space. 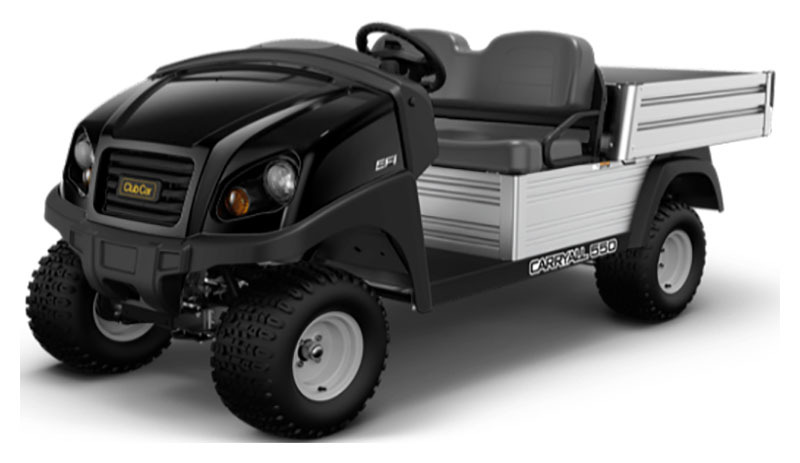 14-hp rated overhead cam engine	with	EFI (Electronic	Fuel	Injection)	and	side-entry fuel	tank improves	fuel	efficiency	by as much as	50%. The	industry’s	only	standard	on-board	highefficiency	charger with cord retractor. The	industry’s	longest and strongest warranty.